Just weeks after being elected as Australia’s new Prime Minister, Tony Abbott has started his war against science and climate. Abbott, who have said that climate change "is absolute crap", has already dismantled the country’s climate commission and is now set to repeal the carbon tax that was introduced in 2011 by the former left-leaning government. The first victim of Abbott’s anti-science and anti-climate campaign was the country’s Climate Commission. The commission was established in 2011 with the goal to independently inform and communicate the dangers of climate change to the Australian public. The most recent report from the commission, titled The Critical Decade, warned that the world needs to essentially “decarbonise in the next 30 to 35 years” in order to avoid serious consequences from global. This means, as the report noted, that Australia would have to keep most of its fossil fuels in the ground. Abbott and his new conservative government estimates that the closure of the Climate Commission will save taxpayers $1.6 million a year, reduce bureaucracy. The government has also promised that the Department of Environment will instead continue with informing the public about climate change. But considering that Australia is the world’s biggest coal exporter, it’s not that hard to figure out the real reason to why Abbott wanted to shut down the independent commission. Christine Milne, opposition leader for the Greens in Australia, has said the decision shows Abbott’s "contempt for climate science and for the health and wellbeing of future generations." "Shooting the messenger does not alter the fact that Australia has to do a lot better than 5% in order to contribute fairly to the global challenge of constraining global warming to two degrees," Milne said to the Guardian. "Prime Minister Abbott has distinguished himself as one of the only leaders of a western democracy to deny the severity of global warming and to actively undermine infrastructure which is bringing down emissions." But the Climate Commission is not the only target for Abbott. Other bodies that are in the risk of being stripped of its funding are the Climate Change Authority, which provides independent advice on emissions reduction targets, and the Clean Energy Finance Corporation, a renewable loan institute. Just a couple of days ago, Abbott did what he promised in his election campaign: he introduced a repeal bill to the Australian parliament that will scrap the country’s controversial carbon tax. "This is our bill to reduce your bills, to reduce the bills of the people of Australia," Abbott proclaimed. But critics say that Abbott is doing just the opposite. Adam Bandt, from the Greens in Australia, writes that "there’s nothing new about conservatives slowing down the pace of reform, offering paternal protection and preserving the status quo." But "global warming is already damaging the health and the way of life of ordinary Australians and unless we act those threats will become catastrophic. [...] If our prime minister truly wants to protect the Australian people, he must help fend off dangerous global warming, the country’s biggest ever threat." 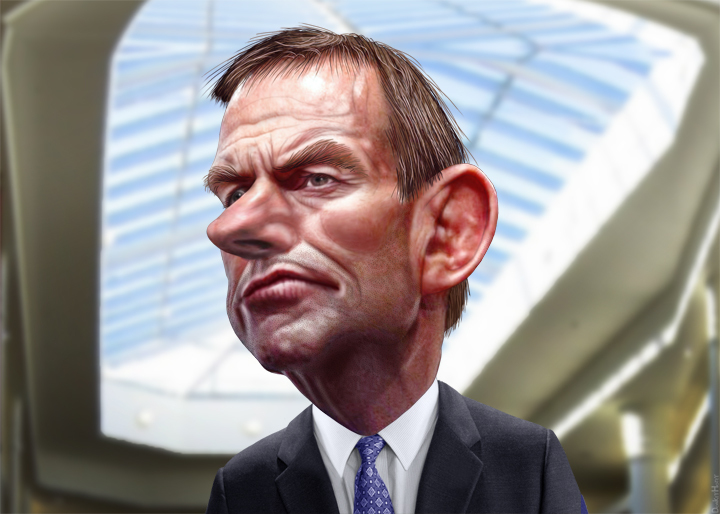 Abbott has campaigned with the promise of getting Australia back on track. But in reality he is moving Australia backwards.